Blockchains are still a fringe technology in many ways, but it’s slowly making its way into the mainstream. While blockchain technology aspires to change the world, its potential is still unknown to most. And while developers are busy studying its nuances, businesspeople are hard at work figuring out how to harness it to power their latest, greatest ideas. 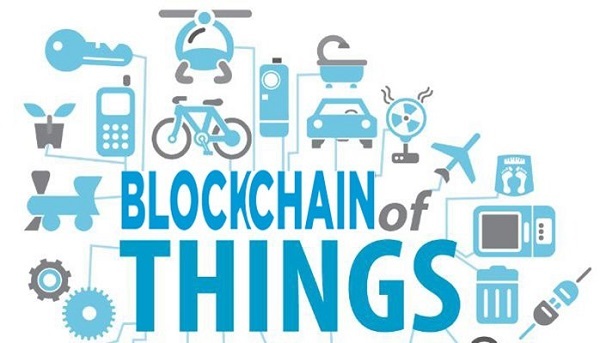 There have been some unique concepts produced from a melding of blockchain with voting systems, commodities trading and even real estate, but the candidate most likely to push mass adoption of blockchain is the Internet-of-Things (IoT). A term frequently tossed around in tech journals and conferences, the Internet of Things (IoT) is not exactly a product or service, but rather a movement. It’s a trend that became popular in the last decade for creating products — even everyday ones — that are all interconnected with the internet. This usually happens through Wi-Fi or Bluetooth, and the result is a new source of big data. The massive amount of geographic and demographic information, usage patterns, and finer data points collected by products like the Samsung Smart Fridge creates a big opportunity for companies to discover consumer behavior patterns and eventually profit from these insights. This is a concept that supply chain companies are already testing, for instance. With a trustworthy data backbone that identifies changes in temperature, location, and other shipment attributes, blockchain can play an integral role in industries that manage real-world objects moving across different geographies. Modum, a blockchain-driven data integrity solution for transactions of physical products, has a blockchain solution that removes the margin for error that many logistics businesses accept as the status quo. Modum uses a system of smart contracts to verify data even before a shipment changes hands, and the same system of smart contracts will automatically update the distributed ledger when transfers are made. This ensures that nothing is out of place, leading to a transparent, error-free environment where a business’s various supply flows can be tracked and improved upon with confidence. Indeed, one area in which the blockchain may have a very practical and valuable contribution is security and safety. (I intend to cover this topic in a series of upcoming articles). As data indicating our most personal habits and patterns pours into the internet from IoT devices, servers become an increasingly vulnerable point in the infrastructure. Vulnerable to hacks, DDoS attacks, and events like the recent Equifax breach, centralized data may be a thing of the past. In contrast, blockchain’s encrypted and distributed ledger system creates a safer environment for keeping data unharmed by malicious third parties – as there is no single point of failure. Other players are also manning the IoT-meets-blockchain space. Aigang aims to build a blockchain protocol for digital insurance, which can then be used as layer protocol using distributed autonomous organization (DAO) and smart contracts for insurance services for IoT. Another is MyBit, which enables the crowdfunding of revenue generating machines (IoT Assets). These two companies have had their token sales in the past. It’s easy to see the appeal of a connected swarm of automated robots, for use in a warehouses or other service business, that use the blockchain to make smart, timely decisions without human input. This ability to build a safe, equitable infrastructure for autonomous collaboration, where there is no single leader, wipes the slate clean for developers and makes it easy to be creative without worrying about the veracity of their data.